This past Sunday, I was fortunate enough to have my Luscious Lush self and my big mouth invited to a blogger panel discussion, hosted by Lisa de Bruin (@winedivergirl) of Hahn Estates. At this discussion were several fellow bloggers and industry folks, as well as a large contingent of the Hahn team, who were on hand to discuss their wines as well as how they can more effectively interact with us wine blogger types. First, let me get this out of the way. I am going to talk about some wines. 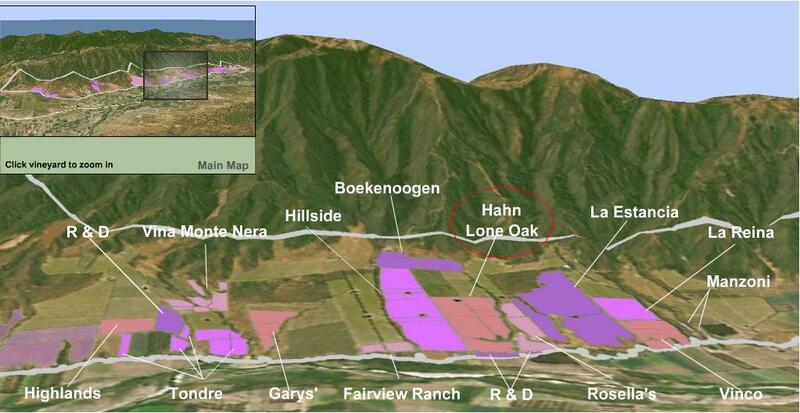 I am going to talk about some Hahn Estates wines. These wines were tasted at a hosted event, but these comments express ONLY my opinions. I am choosing to write about the wines that stood out in my memory as being exceptional or noteworthy, because i like to share things I like. Moving right along then! Additionally, we had two wineries represented, which added a unique perspective. Rich ruby color. Rich without being sweet or overdone. Black cherry, earth. Strawberry fruit rollup, cherry and plum. Tastes slightly salty. class pinot noir. Case in point, Lone Oak actually sits between Gary’s Vineyard and Rosellas Vineyard, which are both well known in pinot circles for producing some cult pinot noirs. This had a much chewier mouth feel, with black raspberry and Bing cherries, followed by plums and earthy spice flavors. I enjoyed both of these pinots very much, and would say that for drinking along, Doctors is a great choice. If you are pairing with food, I would suggest the Lone Oak. This event was just getting under way after the wine was poured. With our minds flowing freely, the discussion began as to how wineries, other industry professionals, and bloggers can work together. First, let’s face it. Bloggers are a rowdy and diverse bunch. NO two wine blogs really have the same goal, and no two wine blogs are the same. Personally, I write my blog because I like to share. It started as a newsletter of events and wines that I was enjoying, and evolved from there. I choose to write about wines & things that I find inspiring. I choose not to write about every forgettable wine that I taste, because I don’t have that much time in my life. But that is me. Your wine blog might be different, and that’s OK! The point of the blogger community is that we all have our passions. Our readers come to our blogs for information, and for different reasons. I read over 100 wine blogs – not every day, but in general – and each one adds value for a different reason. Lisa de Bruin, from California Wine Life and Hahn Estates, gives me a unique perspective on issues in the industry as well as her adventures diving and enjoying wine. The Brix Chicks let me peek vicariously in to their world as they pursue their WSET certificates and taste things locally. Michael Wangblicker of Caveman Wines writes about shaping the wine blogging industry, and gives me great tips and tricks to improve my own writing. Each blog is different, each blog is great. The uniqueness of the blogging industry is what makes it magical. In recent news, traditional media outlets such as the Chicago Tribune have filed for bankruptcy. As we move towards the next decade, old school traditional media methods are being surpassed by new methods, such as online media and blogging. As Lisa put it “the shift of influence in the wine world from old print media to new on-line media, especially in the form of blogs with character, variety and accessibility to the variety of wine lovers out there is essential to the success of a growing wine industry.” I could not agree more. The next generation of wine drinker is so attached to the web, they are avoiding brick and mortar establishments. There has been a lot of discussion about where the line is drawn in terms of bloggers and wineries. I question this, as traditional media outlets get wined and dined and showered with gifts all the time. I’m not sure why we should be held to a higher standard, just because we are innovative and new. That being said, if we are clearly writing about a “sample”, as disclosed in our blogs, are we not covering our own asses enough? Food for thought. Since I personally, only write about wines and events that are important to me, I am aware that I am giving positive publicity to those wineries / events. SO what? How is this different than me saying to my friends, “I had a great wine last night you should try it”? Word of mouth marketing has been, and will continue to be, the most powerful sales tool in the retail world. The only different that we, as wine bloggers have, is that we are communicating to a wider audience en masse. I hope that these conversations will continue, and would love to see winery hosted blogger panels more frequently, across the US. One question that came up during our conversation with Hahn was about this being “Hahn Fest” of sorts. While there was a certain portion of that, I see that as being somewhat obvious, since it was a hosted event. However, if more wineries like Twisted Oak, participate and pour their wines in a convivial and social setting, the appearance of this can be changed. Again, I didn’t see this as an issue because it was clear before we went that we were attending a hosted event, with a panel of Hahn employees. Nice article <del datetime="00">Lisa</del> THEA. I do believe that the blogging world has opened peoples eyes to wines and wineries they would have never encountered. I myself am living proof of that. I only wish I could have been there with all of you last Sunday. And I agree with Sonadora. Tell us what you don't like so we can avoid it! Well ok! If you insist. And I'm glad you like my big mouth! Sounds like a pretty neat event! I would have liked to be there and wrote some stuff about the wines! Love the vineyard map, I need to incorporate stuff like this into my blog too. We missed you too Wine Blog! We are trying to arrange a series of these events, so I hope to see at one in the near future.